Dry bag backpacks are becoming increasingly popular. There are several perks to having a completely waterproof backpack, regardless of what you plan to use it for. They’re perfect for using as an EDC backpack, as well as for school or work – particularly when you’re in an area where the weather can get pretty wet. I’m looking at you, Pacific Northwest. In this post, I’ll take a look at my top picks for the best dry bag backpacks and give you a complete buyer’s guide for choosing your own. If you’re in a hurry, you can check out my top pick, the FE Active Waterproof Backpack, over on Amazon. 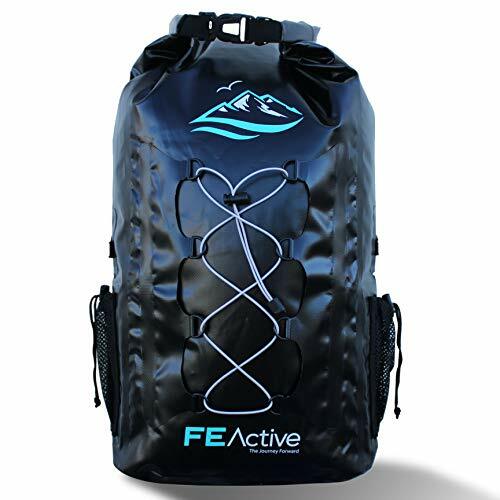 The FE Active 30L Eco Friendly Waterproof Dry Bag Backpack is a stylish backpack that will look as at home on the streets as it does in the mountains. The FE Active is made of a PVC tarpaulin material that is durable enough to take with you while out camping. The seams are radio frequency welded, the webbing is made of a tough nylon, and the hardware is made of high quality plastic. The nylon webbing is horizontally stitched to provide you a spot where you can stuff a jacket or clip on extra gear that won’t fit in your bag. Another neat feature you won’t find on many dry bags is the padded mesh at the shoulder blade and lower back areas to increase comfort. Not only is the FE Active unique in that regard, it also has a chest strap that can be used to stabilize the pack when it’s loaded down. The dual mesh side pockets are also uncommon and make it extremely convenient when you need a water bottle or other small items. Ready to get out there in the rain? Check out this great bag over on Amazon for more info and to get one for yourself. The sleek, modern look of the Sak Gear BackSak makes this a good dry bag backpack to have in the mountains and in the city. The 500D PVC material is durable enough to take in rough terrain and the seams are welded to make sure they’re watertight. The Sak Gear BackSak is 35L, making this more suited as an overnight or weekender bag than a work bag. The Sak Gear BackSak is built like the FE Active and also had a padded back, cushioned shoulder strap, and a sternum strap for optimal carrying comfort. Even better, however, is the splash proof exterior pocket that makes it easy to access small items while still keeping them safe from the elements. If you find yourself in especially wet conditions, there’s a seperate interior pocket in the main compartment you can use to keep your valuables safe and easily accessible. You can read more about this awesome dry bag backpack over on Amazon by clicking here. The Aqua Quest Stylin 30L Backpack is a neat waterproof dry bag backpack that is versatile enough to use just about anywhere. 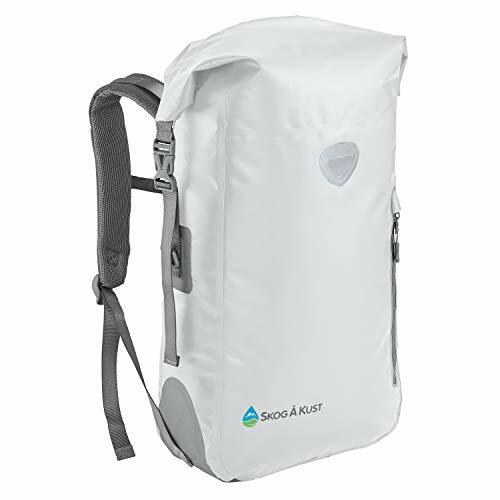 Coming in at just 1.9lbs, the Aqua Quest Stylin is a pretty light backpack, especially considering it’s a 30L bag. Like the other two bags on this list, the Stylin comes with a mesh air back panel, cushioned shoulder straps, and a sternum strap. However, the Stylin also has hip straps which make this a little better suited for camping trips than around the city where extra hip straps can get in the way. The Stylin consists of a main compartment tha is entirely waterproof and a front sleeve pocket that is splash resistant. The front sleeve is handy because it allows you to store larger items away while still keeping them separated from the rest of your gear. An added bonus is the splash resistant front zip pocket for extra organization. You can read more about the Stylin backpack and see the colors it comes in over on Amazon by clicking here. Since there are thousands of different kinds of dry bags, so you need to take into consideration several different factors to figure out which dry bag backpack will suit your needs. What factors, you might ask? Read on to find out! When it comes to choosing a dry bag backpack, you’ll want to take into account the type of material it’s made out of. Vinyl is a popular material used for dry bags that are made to carry around heavy gear and be exposed to the elements. It’s a good option for those of you who need a bag that they’re going to take camping or on a boat for extended periods of time. However, if you’re just looking for a backpack that will keep your laptop safe in case it rains on your commute to work, a backpack like silnylon will be lighter and flexible, making it easier to carry around and use as a regular backpack. What kind of closure do you want? Different dry bags have different closures. The most popular type of closure is a roll top. Like the name suggests, the roll top is rolled down and then snapped shut with a buckle, creating a water tight seal to keep your gear dry. While this is the most popular type of closure, it can be a pain to open and shut your dry bag backpack, since you will need to roll it several times and buckle it. Zipper seal tops are another popular type of closure. The zipper seal is similar to the seal zipper you can find on a freezer bag. While this is an effective way to keep out water and is more convenient than the roll top, you will need to lubricate it occasionally. Dry bag backpacks come in several different sizes, from 10L bags all the way up to 70L bags. It’s important to consider how much gear you intend to carry with you and what type of gear it will be. A larger bag will be better suited for long trips while a 20L bag will probably be sufficient for your work items. There you have it! 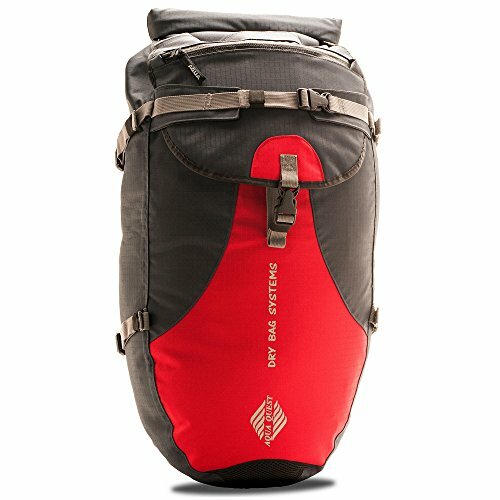 My top 3 picks for the best dry bag backpack. Do you have a favorite dry bag backpack? Leave a comment and let me know!